Image: Michael Buckner/Getty Images for August Getty Atelier. Oh, man. Another day, another celebrity couple we really loved together breaks up. 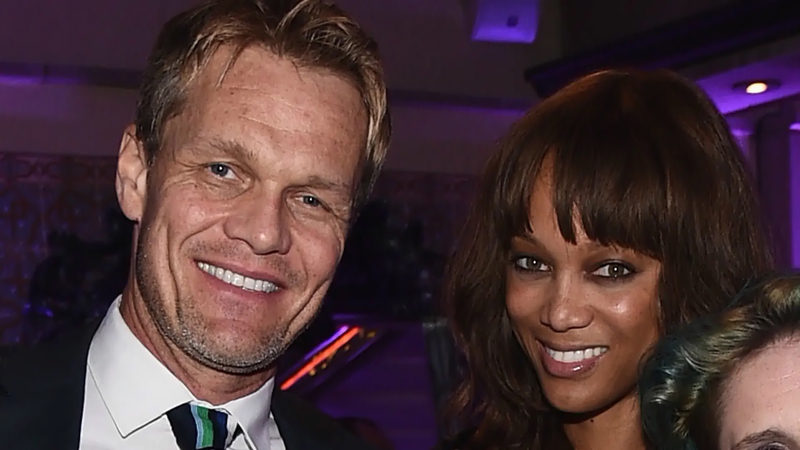 This time, it’s Tyra Banks and her longtime boyfriend, Erik Asla. Details are still emerging, but it seems like the split is amicable even though Asla has reportedly moved out of the couple’s Los Angeles home. It’s not super-surprising we don’t know a whole lot about the breakup yet considering these two went to great lengths to keep their relationship private. The couple went months and months without being photographed together in public throughout their relationship — but we were still able to gather enough info about Asla to know that we really liked them together. Here’s a little about Banks’ now-ex. Banks announced the birth of her and Asla’s son, York Banks Asla, early last year with a cute Instagram post. In fairness, Asla didn’t post pictures of Banks on his social media that often throughout their entire relationship, but when he did, they were stunning. Looks like he’s already scrubbed his Instagram page, however, and removed all images of Banks from his feed with the exception of one solitary pic (above). We know that age isn’t anything but a number, but Asla is nine years Banks’ senior. Shocker that Banks would be cozying up with a photographer, right? Asla’s work has appeared in just a few rags you might have heard of, such as Allure, Bazaar, Dwell, Elle, Glamour, GQ Australia, Marie Claire, The New York Times Magazine, Vogue and Vanity Fair. He has also shot for Calvin Klein and Saks Fifth Avenue. Of course, his website is chock-full of amazing photos of Banks too. The beauty in Asla’s work is truly in its simplicity. One of the things I miss most. D2 magazine. Norway. Asla was born in Norway but moved to Los Angeles to further his photography career and studied under the legendary image-maker, Herb Ritts. Asla and Banks met on the set of Norway’s Next Top Model and initially tried to keep their romance on the down-low but were spotted holding hands and kissing during a lunch date shortly after beginning their courtship. Thank you @brianbowensmith for this portrait of an irrepressible dreamer, two amazing daughters and a sea wall of floral beauty. According to his work website, as well as his personal social media accounts, Asla has three daughters who also live with him in LA. Witnessing the dawn of life is quite possibly life's greatest gift. Endearing bios, breathtaking photos… the caption for his photo announcing the birth of baby York says, “Witnessing the dawn of life is possibly life’s greatest gift.” Serious swoon. Originally published January 2016. Updated October 2017.